The surface area of a 3D3D3D shape tell us the areas of all the different sides of the shape summed together. In this chapter, we&apos;re learning about the surface area and volumes of pyramids. There&apos;s many different pyramids such as a square pyramid or a rectangular pyramid. 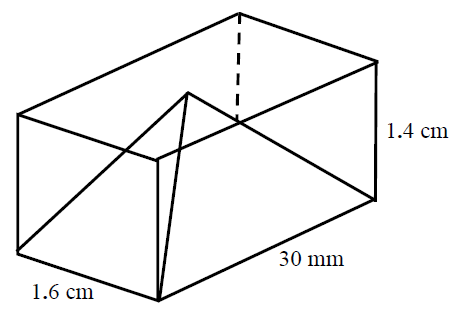 So how do we find the surface area of a pyramid? There are actually formulas to help you find this. For a general right pyramid whose faces are all the same, the surface area = the sum of all the areas of the pyramid&apos;s faces. 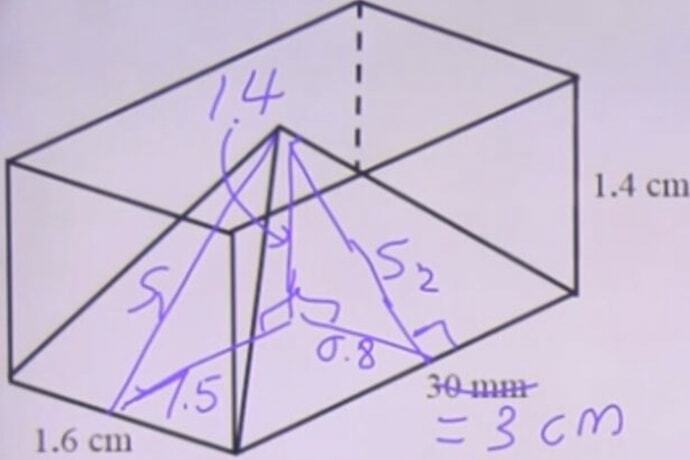 Essentially, for both of these formulas, you&apos;re just finding all the areas of the different sides of a pyramid and then adding it together to get the total surface area. You can imagine the net of a 3D shape spread out, and having to calculate each of the sections of the net&apos;s area separately. The volume tells you how much space an object takes up. 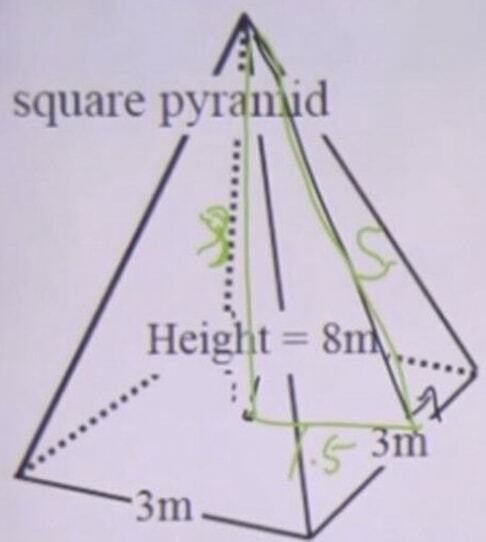 For a pyramid, you can use the below formula to help you find the answer. We&apos;re going to start with looking for the Surface area(SA). Before that, we need to convert unequal units and gather the required information that are not given to us in the graph. Look for the area of the sides. We have sides with different sizes. Sides on left and right are identical to each other. It&apos;s the same for sides on the front and the back. Feel free to explore the volume of a triangular pyramid further with this online volume calculator. If you&apos;re ready to move on, learn about the surface area and volume of other shapes and try out some volume word problems. 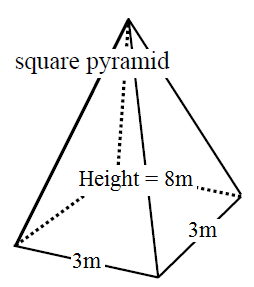 The surface area of a pyramid basically contains four triangles and a rectangle as its base. 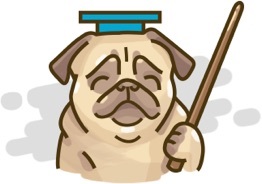 Therefore, if you know how to find the area of triangles and rectangles, we can calculate the surface area of pyramids quite easily. Also, there is a formula for calculating the volume of pyramid too. We will also look at some composite solid questions in this lesson.